What Would You Trade For Steve Jobs' Old Car? Since his death in 2011, we've seen a veneration of Steve Jobs that's reminiscent of the attention focused on, say, a European saint. (His office at Apple remains untouched, for example.) But instead of collecting gross talismans like bones, Jobs worshippers stick to more prosaic objects, like that set of Jobs' business cards that recently went for $10,500. 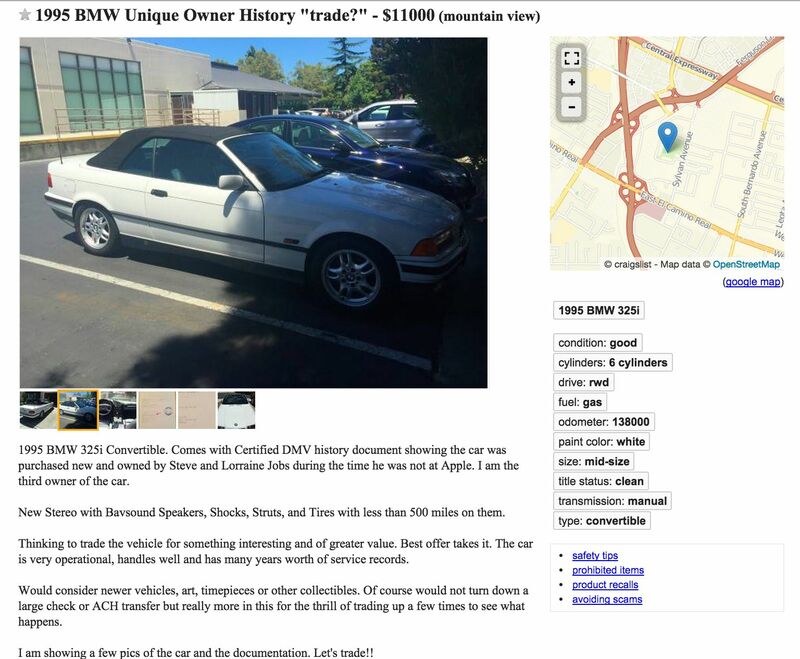 And now we have someone offering what is purportedly Steve Jobs' old BMW, "for something interesting and of greater value." 1995 BMW 325i Convertible. 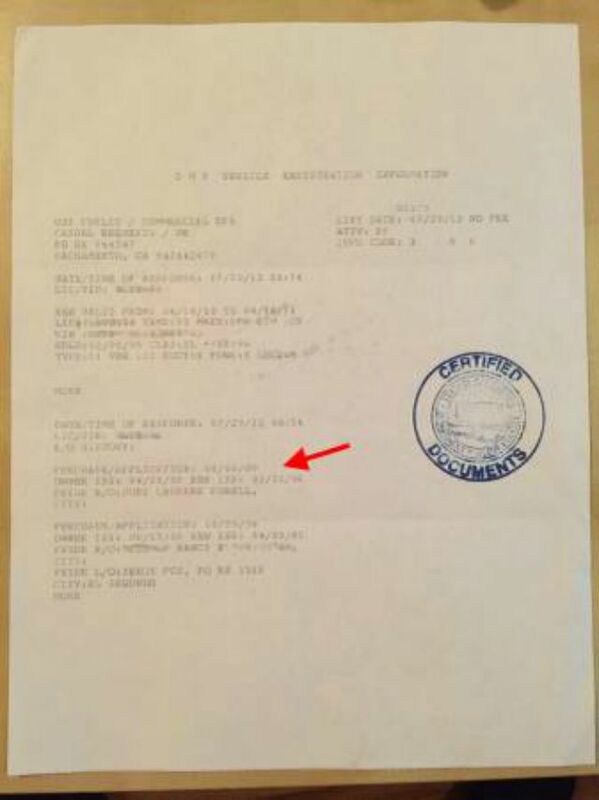 Comes with Certified DMV history document showing the car was purchased new and owned by Steve and Lorraine Jobs during the time he was not at Apple. I am the third owner of the car. New Stereo with Bavsound Speakers, Shocks, Struts, and Tires with less than 500 miles on them. Thinking to trade the vehicle for something interesting and of greater value. Best offer takes it. The car is very operational, handles well and has many years worth of service records. Would consider newer vehicles, art, timepieces or other collectibles. Of course would not turn down a large check or ACH transfer but really more in this for the thrill of trading up a few times to see what happens. I am showing a few pics of the car and the documentation. Let's trade!! No word on if the white convertible had a license plate during its time with Jobs, or if the Apple founder's plateless years came later. Given the current bizarro environment of tech bubble hysteria and hype, it doesn't seem impossible that some Young Turk eager/desperate to get some Jobs magic on him might snap this 20-year-old vehicle up, a pilgrim flask for the modern age. The question is, will this Jobs wannabe have "art, timepieces or other collectibles" enough to offer this seller "the thrill of trading up"?